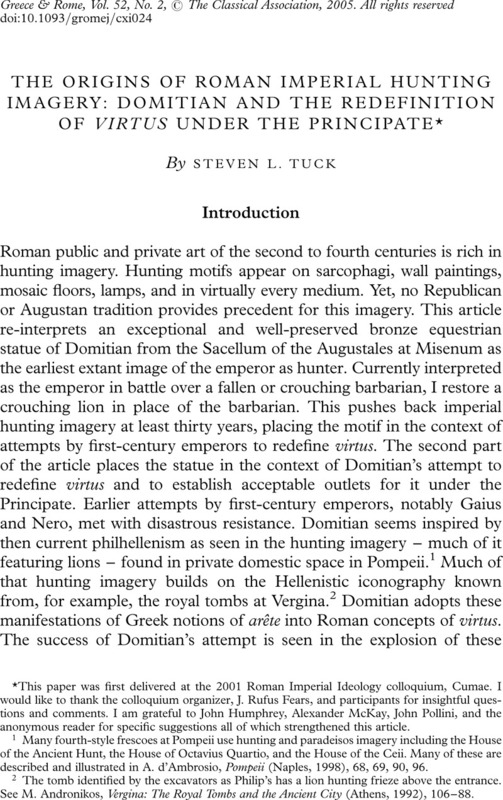 * This paper was first delivered at the 2001 Roman Imperial Ideology colloquium, Cumae. I would like to thank the colloquium organizer, J. Rufus Fears, and participants for insightful questions and comments. I am grateful to John Humphrey, Alexander Mckay, John Pollini, and the anonymous reader for specific suggestions all of which strengthened this article.